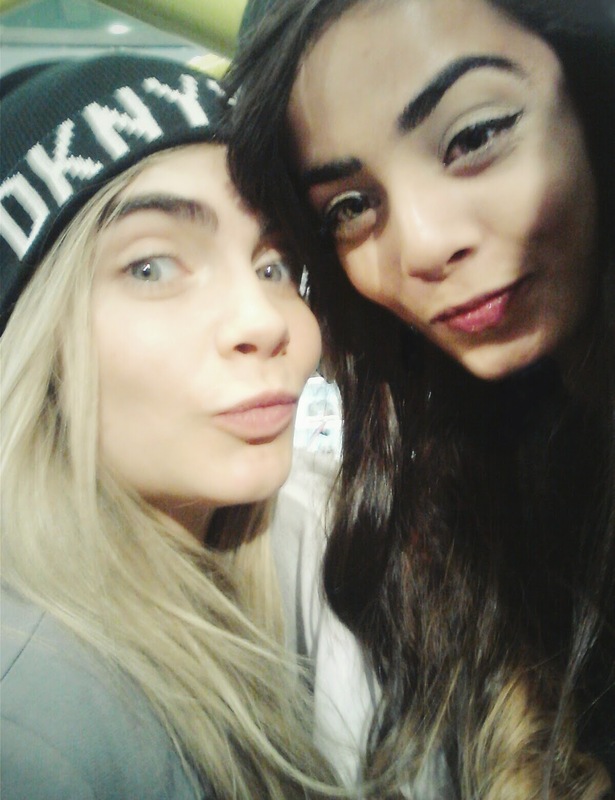 Today was the official launch at Bloomingdales for the Cara Delevingne collection for DKNY. As a public relations intern for DKNY, I got the sneak peak of an early preview for the collection two weeks, so as it's been sitting in our fashion closet for a week, it's great to finally see it hit the stores. The turn out was amazing, with lots of fan girling and selfies being taken, the event was definitely popping. 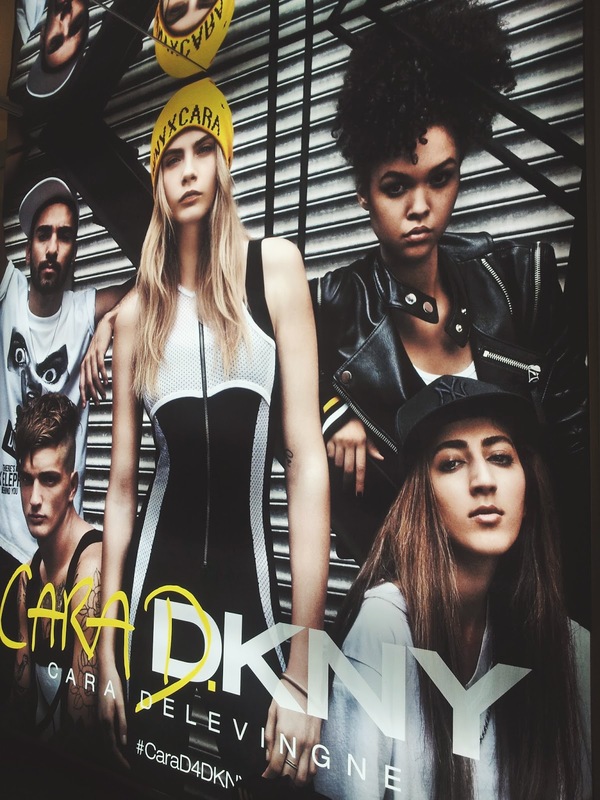 The DKNYxCARA collection first got exposed with an Instagram competition, where people sent in selfies and hash tagged #Cara4DKNY of which six were then hand picked by the supermodel to feature in the ad campaigns, shot in New York City. 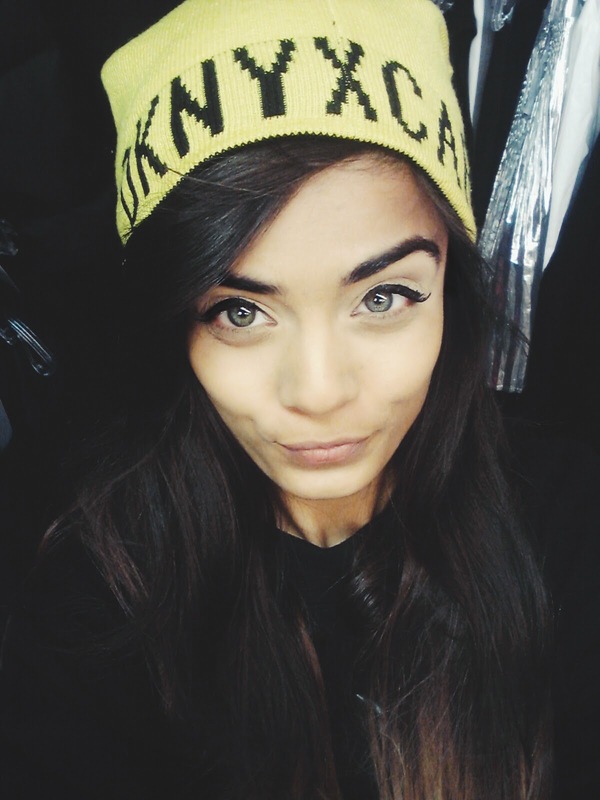 The collection has an urban trendy sportswear look with a range of cool print slogan T-shirts saying "Get your brow on" and classic crazy Cara photos printed on them! I absolutely love the collection, not only because I love her but because it's matches my kind of style of sportswear/beanies/printed baggy t shirts. 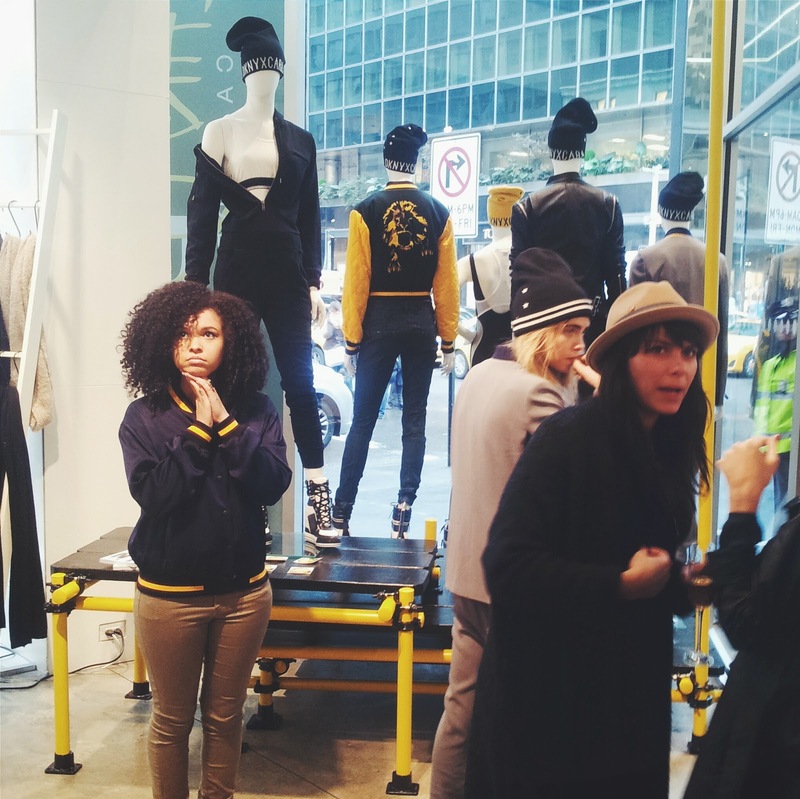 I also headed over to the Madison Avenue store too, where Cara was shooting for the press. As always she was crazy and wild, twerking in the shop and running around. Thankfully, she spent a good time taking selfies with her fans, and of course I managed to bag one too! Be sure to check out her collection at DKNY stores!! !